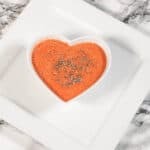 Quick raw tomato basil soup – Make this simple raw tomato soup in a high speed blender using only a few ingredients – so healthy! Hey people! I hope everyone is doing well this weekend? 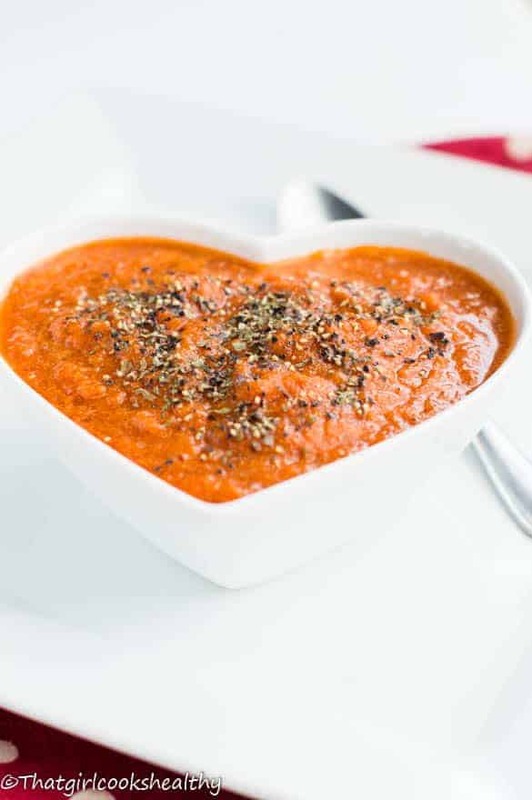 The weather is terrible in my corner of the globe, so I decided to whip up a raw tomato basil soup recipe. Tomatoes are an antioxidant powerhouse, loaded with vitamin C to help strengthen the immune system and stimulate collagen production – ladies seeking youthful, flawless skin should take note. 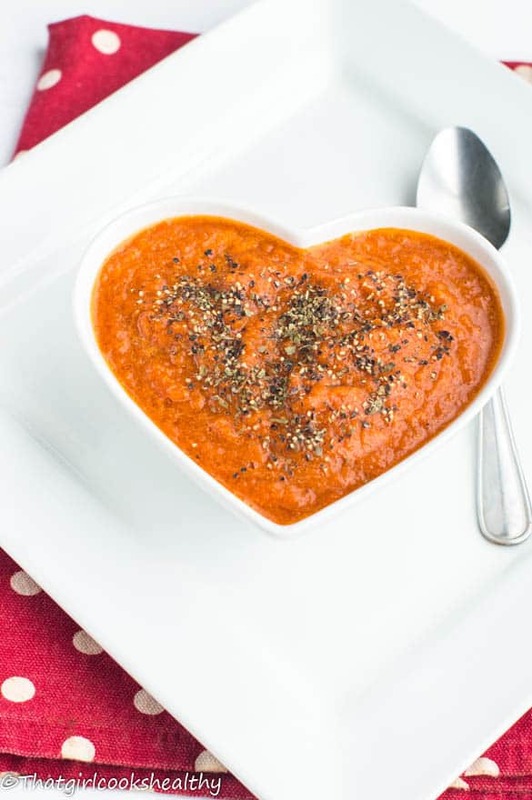 This is a perfect warm, hearty soup to detox the biggest internal organ, the liver. Our liver performs a number of functions and one of them is to tone and cleanse, expelling toxins from the body. The tomatoes coupled with the celery really optimise the health properties by assisting digestion. The additional herbs and spices give a wonderful tangy yet subtly spicy flavour – careful not to go overboard with the scotch bonnet, just cut/slice off the tail end, as it’s extremely hot and I’m sure you don’t want to overpower the dish with chilli. If you cannot find scotch bonnet than a chilli will work just fine. In terms of concocting this soup, it’s very simple and ideal – blend everything in a Vita-mix or Blendtec – blitz on the lowest setting until the blades start to generate heat. Serve – garnish with black pepper and extra virgin olive oil. Add all ingredients to high speed blender and blend on the lowest setting until heat begins to generate. l love your take on healthy recipes, but as a person on a perpetual diet, I wonder if you could also provide some nutritional information about them. (serving size, calories per serving, carbs, fats, protein, sodium, etc.) This would really help me incorporate them into my diet plan. I look forward to your recipe on my Facebook Timeline each day. I don’t actually calorie count and I would advise my readers not to do the same. Consuming nutritionally dense food is far more important plus calories are not created the same. I will be writing a post about the differences in calories and why people shouldn’t focus too intently on them in pursuit of leading a healthier lifestyle. Can this freeze this soup? Thanks!